For all you doughnut lovers out there, these bite sized churros drizzled in chocolate sauce are guaranteed to hit the spot. 1. Boil the kettle, then measure 350ml boiling water into a jug and add the melted butter and vanilla extract. Sift the flour and baking powder into a big mixing bowl with a big pinch of salt. Then pour in the contents of the jug and very quickly beat into the flour with a wooden spoon until lump-free. Rest for 10-15 mins while you make the sauce. 3. Fill a large deep saucepan one-third full of B-well canola oil. Heat until sizzling hot. Cover a tray with kitchen paper and mix the caster sugar and cinnamon together. 4. Roll the dough into a long sausage shape, then cut the dough in 1 cm pieces all the way through. Fry until golden brown and crispy, then remove with a slotted spoon and drain on the kitchen paper-lined tray. 5. Carry on cooking the rest of the dough in batches, sprinkling the cooked churros with some cinnamon sugar as you go. 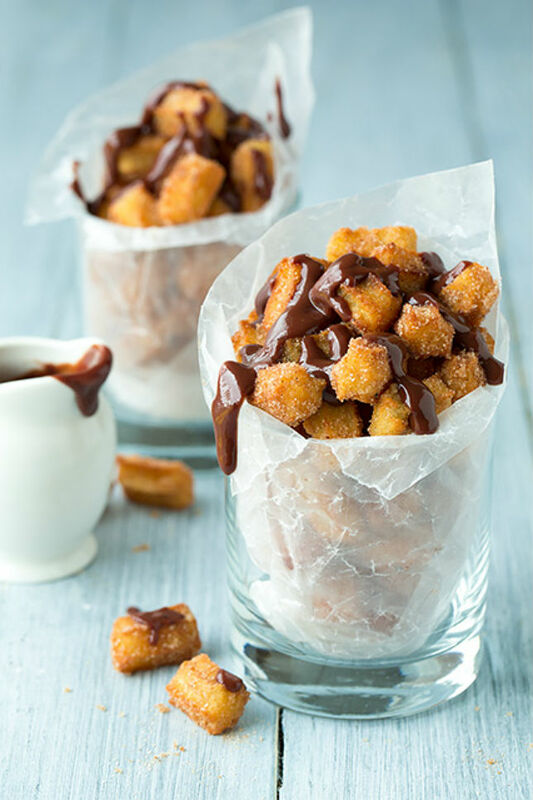 Once you’ve cooked all the churros, toss with any remaining cinnamon sugar and drizzle over the chocolate sauce. 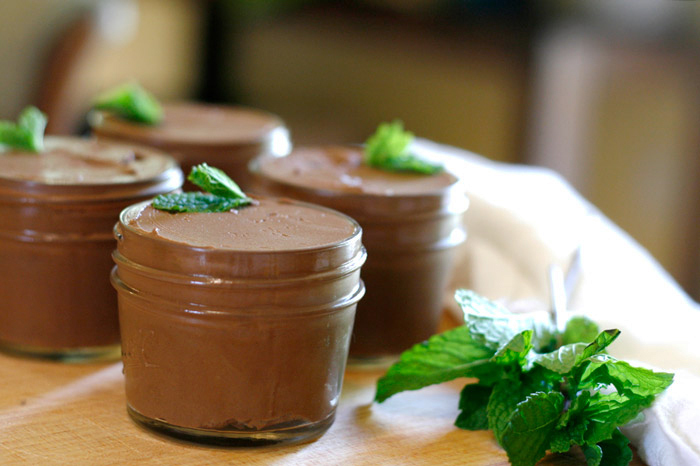 Chocolate mousse is always a winner but this dark chocolate mouse recipe takes everything to a whole new level, absolutely delicious! 2. Place eggs and sugar in a large bowl and beat with an electric mixer for about 5 minutes, or until mixture is pale, thick and has doubled in volume. Fold in cooled chocolate and cocoa powder until well combined. 3. In a separate bowl, whip the cream. Use a large metal spoon to carefully fold the cream into the chocolate mixture, trying to keep the mixture as light as possible. 4. Spoon into 6 serving glasses and chill in fridge for at least 1 hour. Remove from fridge 15 minutes before serving, then top with grated chocolate to serve, you may also add ice cream on the side! Old-fashioned bread and butter pudding is not only absolutely delicious, but it’s also quite easy on the wallet. 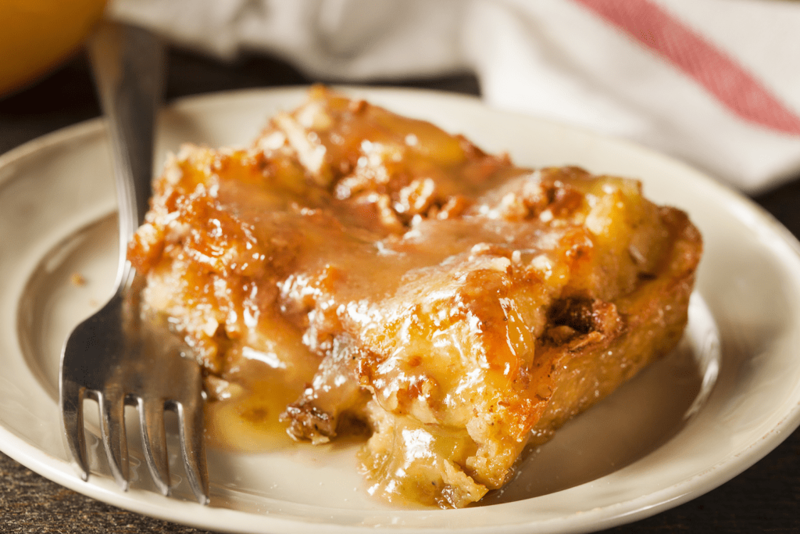 With an extra sprinkle of pecan nuts and topped with some warm brandy sauce this dessert only gets better. 1. Pour melted butter into a medium sized glass or casserole baking tray which are safe to use in the oven. 2. Take Panettone bread or 8 slices white bread which had been cut in half and press into the buttered dish. 3. Mix all other ingredients (except the pecans) in a separate bowl, stirring to combine well, then pour evenly over the bread. 4. Sprinkle pecans and raisins on top and Bake at 180ºC for 45 minutes to 1 hour. 1. Place all brandy sauce ingredients in a sauce pan. 2. Heat gently and stir often. Don’t over cook- only about 5 minutes. 3. Scoop bread pudding into twelve individual serving dishes or coffee/tea cups, drizzle over 2 spoonfuls of warm brandy sauce on top of each serving and dig in. 1. In a dry skillet, toast your hazelnuts until fragrant, about 4-5 minutes over medium heat. 2. Place on a clean kitchen towel and allow to cool. 3. Once cool, rub towel over them to loosen and remove as much of their skins as possible. 4. Place nuts in a food blender and blend until fine or alternatively place the whole hazelnuts under a cloth and hit them with something hard until crushed. 5. Chuck all the ingredients together and whisk until smooth and transfer your decadent sugar free nutella into a glass jar. You can keep it for weeks in the refrigerator, if you don’t eat it all in the first 2 days. Plus anything else you would like to add! First up make the batter. Sieve the flour into a bowl along with the sugar and canola oil. Make a well in the centre and crack in the eggs. Next using a wooden spoon, mix it together until you have a thick yellow batter, this takes time. Next, you’re going to start adding your milk, bit by bit. Every time you add milk, mix it into the batter thoroughly. Only when its thorughly absorbed, add a bit more milk and continue. The batter is ready when it’s a little like slightly thickened pouring cream. Now for the pancakes. Put the pan on a medium heat, take about half a ladle of batter and pour into the pan, rolling your wrist, spread the batter thinly all over the pan. When its cooked through, flip and brown the virginal side. Repeat until all the batter is used – however, keep greasing and wiping the pan between pancakes. The rest is kids play. Building a pancake stack. Place a pancake on a plate or board and scatter with finely chopped chocolate then place a pancake on top and repeat – pancake, filling, pancake, filling until you have no pancakes left. Drizzle the top layer with extra cream and chopped nuts and a final drizzle of maple syrup. 1. Roast the nuts in the hot oven until golden brown for about 5 minutes. Be careful no to burn. 2. Place all the ingredients in a blender and blend untlil smooth. ! 1. Soften the ice cream at room temperature. 4. Serve with ice cream with home made nutella over ! Ice cream can be refrozen into ice cream lollies with sticks and dipped into the home made Nutella. 5. bake for 30 to 35 minutes Cream cheese and white chocolate topping . 2. When melted add the cream cheese. It will immediately become thick and pliable adn ready to use. 1. Combine all the dry ingredients and the chocolate chips and mix well. 2. Mix all the wet ingredients together. If the banana is not very ripe, place it in a blender to get a smooth paste. It’s best to avoid lumps in this so that you don’t taste banana in the fudge later on. 3. Now pour the wet into the dry ingredients and mix well. 4. Pour the batter into a pan which is greased (with olive oil) and dusted (with whole wheat ﬂour) and place it in a preheated oven. Bake at 170 degrees C for about 15-20 minutes or till the top looks cooked. 1. First get your moulds ready. Using upward strokes, heavily brush the melted butter all over the inside of the pudding mould. Add a good spoonful of cocoa powder into the mould. Tip the mould so the powder completely coats the butter. Tap any excess cocoa back into the jar, then repeat with 1 the next mould. 2. Place a bowl over a pan of barely simmering water, then slowly melt the chocolate and butter together. Remove bowl from the heat and stir until smooth. Leave to cool for about 8-10 mins. 3. In a separate bowl whisk the eggs and yolks together with the sugar until thick and pale and the whisk leaves a trail; use an electric whisk if you want. Sift the flour into the eggs, then beat together. 4. Pour the melted chocolate into the egg mixture in thirds, beating well between each addition, until all the chocolate is added and the mixture is completely combined to a loose cake batter. 5. Tip the fondant batter into a jug, then evenly divide between the moulds. The fondants can now be frozen for up to a month and cooked from frozen. Or if you are making it for that night, its ready to bake straight away! 6. Heat oven to 200C/fan 180C/gas 6. Place the fondants on a baking tray, then cook for 10-12 mins until the tops have formed a crust and they are starting to come away from the sides of their moulds. Remove from the oven, then leave to sit for 1 min before turning out. 7. Loosen the fondants by moving the tops very gently so they come away from the sides, easing them out of the moulds. Tip each fondant slightly onto your hand so you know it has come away, then tip back into the mould ready to plate up. 8. Starting from the middle of each plate, squeeze a spiral of caramel sauce – do all the plates you need before you go on to the next stage. 9. Sit a fondant in the middle of each plate. Using a large spoon dipped in hot water, scoop a ‘quenelle’ of ice cream. 10. 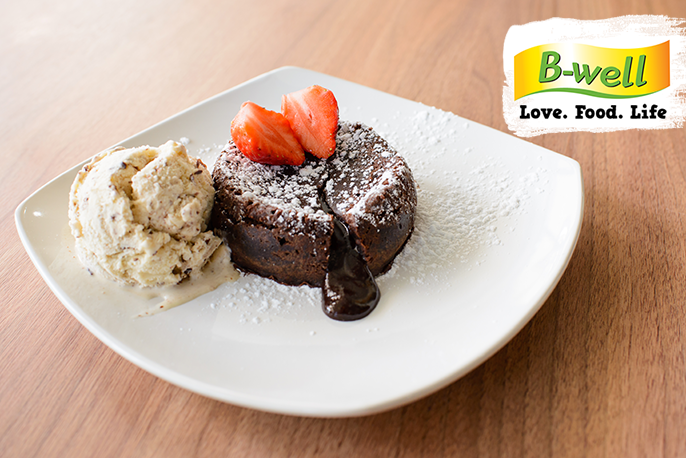 Carefully place the ice cream on top of the fondant, then serve immediately. Repeat with the rest of the fondants. Voila! You can now make one of the best chocolate desserts in the world, this dessert is guaranteed to impress.